"An absence of discord amongst the members"
The booklet includes hundreds of names and many pictures of those involved. In 1930 “the property is valued at £22,100. 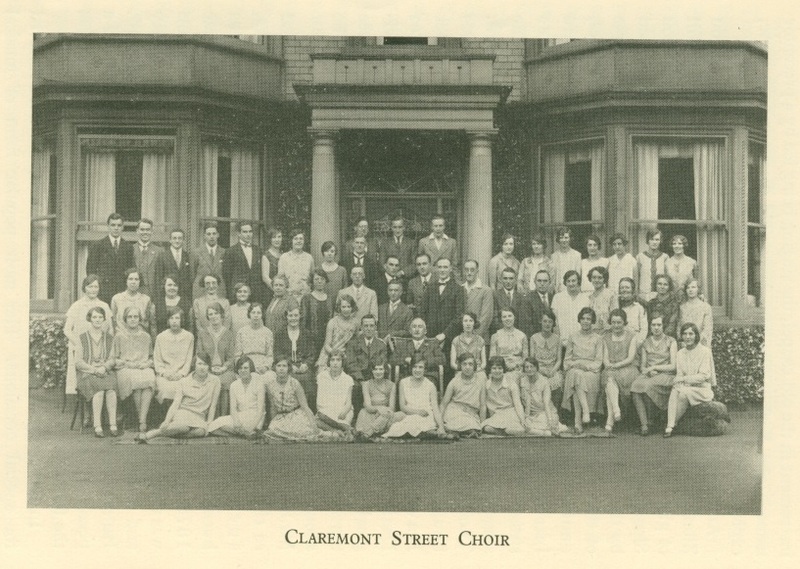 There are 260 members, 19 Class Leaders, 450 Sunday School scholars and 69 teachers.” Interesting that value of the property comes first – perhaps reflecting the difficulty early working class Prims had in raising money. 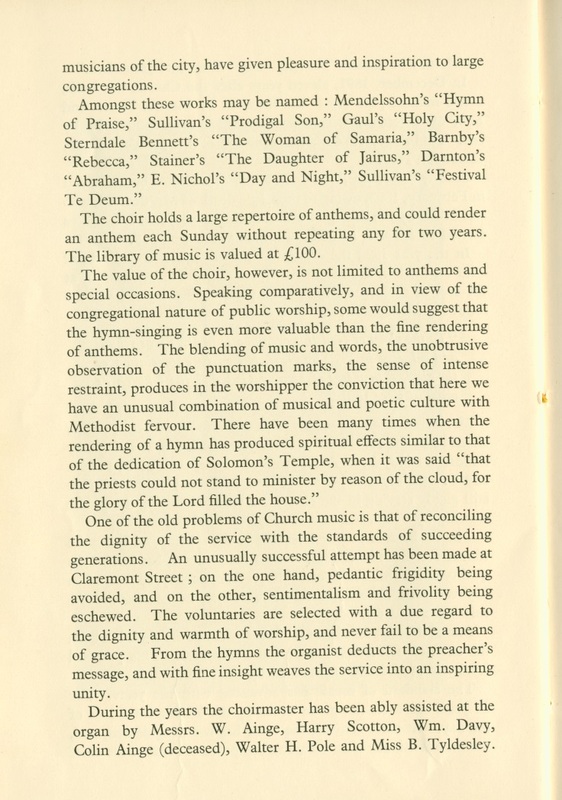 The extracts here describe the role of the Choir. The picture shows 64 people, so it was quite some size. 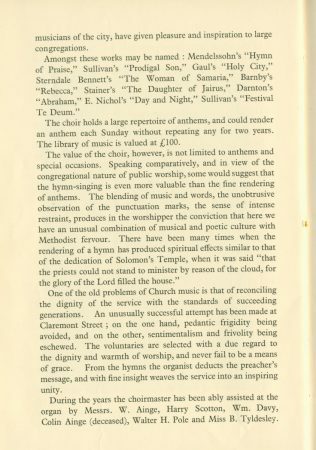 They led the hymn singing, sang Services of song and put on contemporary oratorios such as Sullivan’s Prodigal Son, Stainer’s The daughter of Jairus and Gaul’s Holy City. 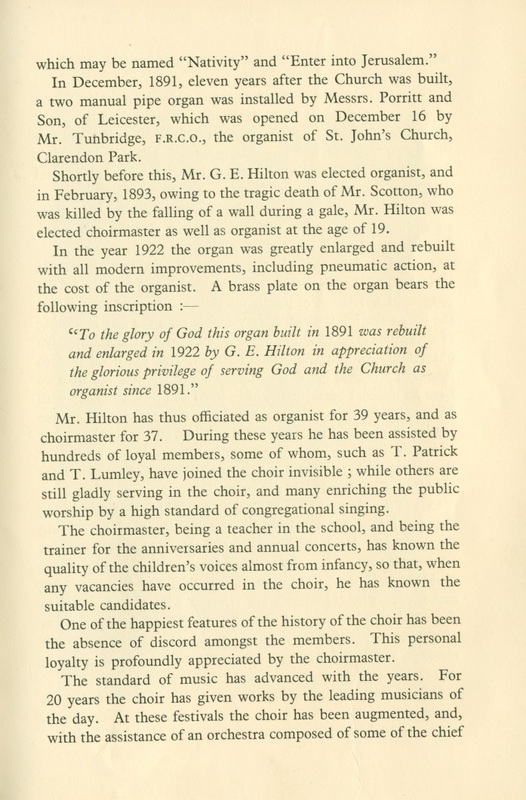 The Organist and Choirmaster from 1893 – 1930 was Mr G E Hilton JP. 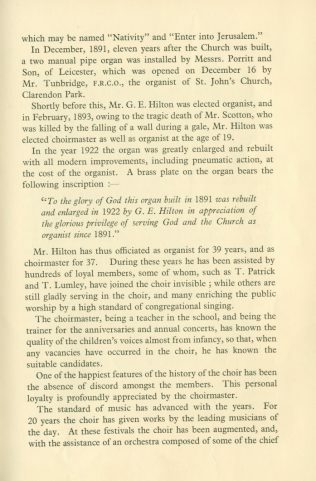 He was appointed at the age on 19 under unfortunate circumstances when a wall fell on his predecessor. 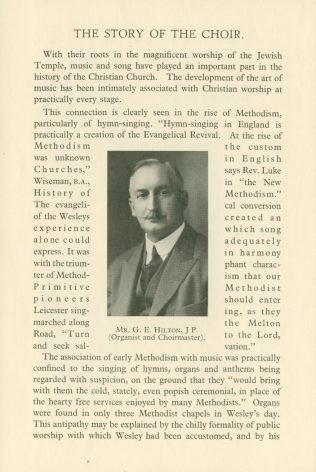 As a choir musical director myself I have great sympathy for the section that says, “One of the happiest features of the choir has been the absence of discord amongst members. 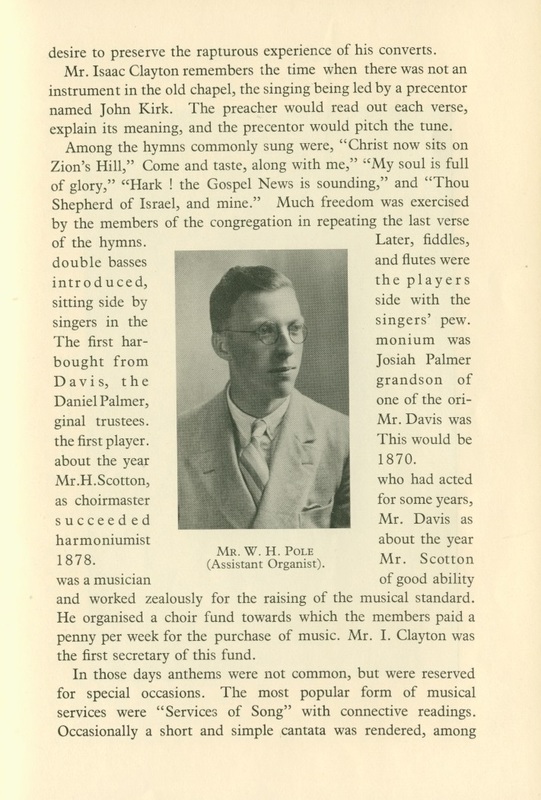 This personal loyalty is profoundly appreciated by the choirmaster.” You bet it was!